SOS Forum • recording from MixWizard 3: use inserts or Direct outputs ? recording from MixWizard 3: use inserts or Direct outputs ? The manual for the MixWizard : https://www.allen-heath.com/media/W3...2_AP5331_5.pdf describes the 2 possible output methods on page 13. The manual states: INSERT .....A single 3-pole TRS jack carries the unbalanced insert signal. Tip = send, Ring = return, Sleeve = common ground. The channel insert is post-HPF, pre-EQ and operates at 0dBu. The LR mix insert is pre-fader and operates at -2dBu. 0dBu. The source is set using an internal option jumper for each channel. The factory default setting is pre-fade (following the pre/post-EQ setting). This may be changed to post-fade if preferred. So, either Direct Output or Insert sockets are capable of giving me the 8 individual channel feeds (pre-fader, pre-EQ) into my Zoom recorder. My question is, will my use of TS (rather than TRS) cause any problems with the MixWizard ? If I use the Direct Outputs, I'd simply push the TS plug fully into the socket...and could I expect to get a good signal, despite it going from balanced mixer out to unbalanced recorder in ? If I used the Insert sockets, I'd expect to push the plug in to the first click stop only....which is the usual way to pick off a signal from an insert, without interrupting signal flow into the mixer....and this should be ok as inserts are unbalanced anyway ? Can anyone give recommendations for one of these two output types being better to use than the other (or why either wouldn't work at all) with this mixer ? Re: recording from MixWizard 3: use inserts or Direct outputs ? You should be fine with short TS cables, but is there any reason you aren't using TRS cables for the direct out connections? Yes that 'pushed halfway in' method is indeed prone to dropouts if the connector is touched...risky indeed ! I only have a couple of TRS-TRS cables, vs a full 8 loom of TS-TS....I suppose I should make up a set of the real thing ? If you've got the time. before it's needed, then I'd do it. Much less likely to get any ground loop issues. If the description in the first post is correct, you'll need to push the plug right in to get a signal from the insert points. If you are using TS connectors this will prevent the signal from reaching the later stages of the mixer which will be a problem if you are using the mixer as part of a PA but no problem if all you are doing is using the mixer preamps as an alternative to the Zoom preamps. I just picked up a used AH Zed 24 mixer and have tried using the insert jacks with TRS 1/4 to XLR into a Tuscan US 1800 interface. This worked flawlessly with my Mackie 1402 VLZ3 mixer but all I get it a loud hum/buzzing and no signal into the Tascam. I'm using the same cables as before so I know it's not them causing the problem. Any ideas what's wrong? And yes, every insert on the AH does the same thing. worth checking that the inserts are set up the same way on both devices (in terms of tip and ring and send and return)? According to the manuals they are bot tip= send, ring = return. However if you are using a standard TRS to XLR cable, then one half of the signal into the Tascam will be whatever's back-feeding to the ring terminal on the EQ circuitry within the mixer. It should certainly kill the mixer signal after that point. I'm surprised that it worked at all with the Mackie and not surprised about noise. Also, the insert point is a line level signal, and you would be feeding it into a mic level pre-amp. If you want the mixer to work whilst also recording from the inputs, then you either need proper 'sniffer' TRS to TS/TRS cable, or a DI box for each mic input used, and then use the TRS to XLR lead from that into the Tascam. Wonks wrote: According to the manuals they are bot tip= send, ring = return. Thanks for the reply Wonks. Pardon my ignorance, but what a TRS "sniffer"? I googled it and all I could find was a device that tests faulty XLR cables. It worked as I wanted it to from a MixWiz3 (using an insert jack, even though it has direct outs). It worked flawlessly from the Mackie. gconyers wrote: what a TRS "sniffer"? I googled it and all I could find was a device that tests faulty XLR cables. It's a cable with a TRS jack plug at one end, but inside that TRS plug the tip and the ring are connected/shorted to each other, while the tip and the sleeve are connected onwards to the cable and a TS plug at the other end. This allows you to plug it all the way into an insert point, getting the unbalanced "send" out the other end of the cable, while also allowing the signal to continue to the desk channel. Assuming that it's a straightforward TRS - XLR balanced cable with no shorts inside, I would expect that to give you a possibly noisy signal from the insert point, but I can't see how it would allow you to still use the desk channel you tapped the signal from? 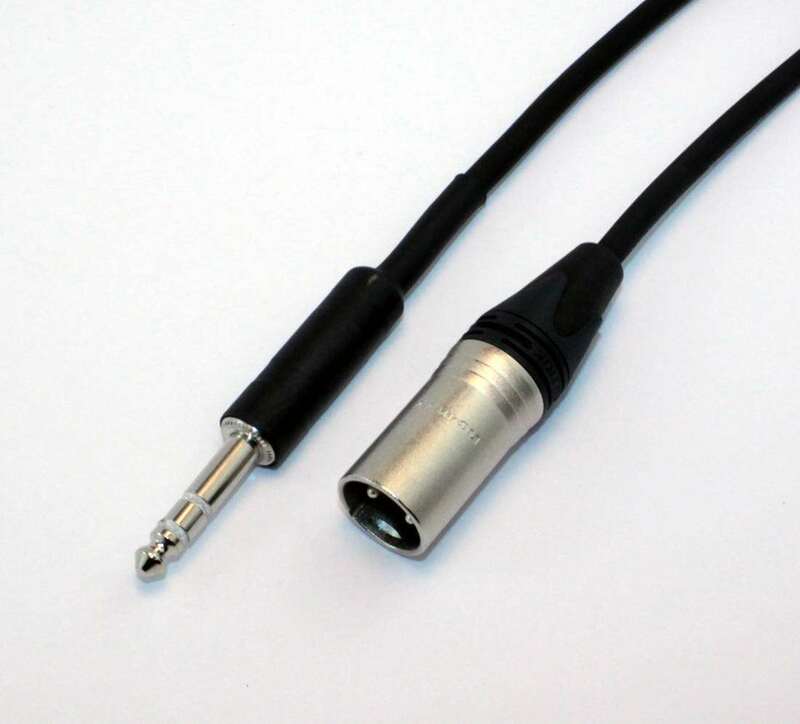 A sniffer cable has the T and R connected at the insert end so that the mic pre-amp signal can pass through the jack and into the rest of the mixer. This joined connection is normally wires to the T of a TS connector at the other end (as the signal is unbalanced anyway) and the S and S of both jacks are wired together as normal. If you use a TRS jack at both ends, then at the non-insert end, the R and S should be connected together. If using an XLR cable instead of a TRS jack, then the T and S are still wired together at the TRS end and this is connected to pin 2 on the XLR. Pin 1 on the XLR is connected to S on the Jack. You'd normally use single core coax cable for this. You may get slightly better results linking pins 1 and 3 on the XLR, but it shouldn't really be necessary. If you've had your cable work before, then it can only be because it wasn't fully plugged in to the insert socket, but only halfway, so the tip made contact with the R connection in the socket. Insert jack sockets have a link via a second connection on the T connector that connects the T to R if no insert cable is used, but that connection breaks when a jack is inserted fully. If the jack plug is only partially inserted so that the jack plug T is only making contact with the socket R, then the mixer input signal is still connected to both the socket T and R, so you then pick up the signal on the Jack T connection, the S still makes contact with the socket S connection but the R connection ends up not connected at all. It can be a bit tricky doing this as often the R connection can also break the through signal connection, so the jack plug tip just has to rest on the R connection without making a proper connection - which is why making up proper sniffer cables is the best solution. But fully inserting a TRS jack on a non-sniffer cable means that there is no signal path for the mixer input signal, so you'd get nothing on that mixer channel. And unless the gain is turned right down on the mixer input channel, then it's going to be a line level signal that hits the mic preamp on the Tascam, with a real risk of seriously overloading the mic inputs (there doesn't seem to be a pad on the Tascam input which would help here). But turning the mixer input gain right down would mean that the mixer won't work well and the outputs would be very low indeed. So to do it properly and securely, with both the mixer and the Tascam happy, make up TRS to TS sniffer cables (then you can't get the ends mixed up), run the signals into the line inputs on the Tascam and you'll be fine. gconyers wrote: I just picked up a used AH Zed 24 mixer and have tried using the insert jacks with TRS 1/4 to XLR into a Tuscan US 1800 interface. This worked flawlessly with my Mackie 1402 VLZ3 mixer but all I get it a loud hum/buzzing and no signal into the Tascam. I'm a little surprised that it worked 'flawlessly' before with the Mackie -- you got lucky -- because it really isn't the appropriate way to do this! You are trying to connect a bidirectional unbalanced source/destination into a balanced input. The unbalanced Send signal is on the tip connection and that is being passed to the hot side of the Tascam's balanced input. But a balanced input only senses the signal voltage developed between the hot and cold terminals... so what's on the cold input terminal? Well, that's connected to the ring of the TRS plug, which goes to the Return input of the mixer. However, the Send signal voltage is being developed between the Send output amp terminal and the mixer's ground... and the mixer's Return input isn't a ground, it's an input! So it's not really surprising that you're getting unwanted noises, and the only way I can think that it worked with your other set up is that the Mackie must have had a tie-down resistor of a low enough value across the return input to provide some reasonable reference ground. The correct way to do this is to make up a 'sniffer cable' in which the insert TRS plug is wired with the tip and ring linked together to maintain the signal path through the mixer, and then the tip and sleeve are wired to pins 2 and 3, respectively, of the XLR plug to pass the signal differentially to the Tascam interface. You can, if you want. also install a 100 ohm resistor between pin 1 and pin 3 of the XLR, but it's not essential. I've not seen these 'sniffer cables' available as pre-made commercial items, but there are plenty of small bespoke cable-making services that could make some up for you at a reasonable price. Alternatively, buy standard splitter or Y cables (TRS to two mono TS or XLR plugs) which are commercially available. That will allow you to access the Send signal correctly, although you won't have any signal continuing through the mixer channels. I've just compared the block wiring diagrams of the Mackie and the AH mixers, and on the AH Zed mixers, the through connection from the T to the R socket connection is broken when the R connection is made. So if the actual wiring is done as the block diagram shows, with a TSR plug just pushed in enough to make the R connection, it won't pick up any of the input mixer signal (and neither will any signal be passed onwards through the mixer. On the Mackie, the block diagram shows the through-signal being connected to both the T and R connections in the socket, so both have to be broken before the through-signal is disconnected. The input is still fed to the mixer even if the tip of the jack plug is pushed in enough to make with the R connector in the socket. SO with the AH mixer, you'll either have to a) make up some proper sniffer cables b) open up the mixer and modify the links on the insert sockets so they operate like the Mackie or c) just rest the jacks in the insert socket so that they touch the R contact but don't break it. C) is very unreliable, b) is awkward so I'd suggest either a) or else sell the AH and buy a Mackie mixer (or any other make where the block diagram shows a similar insert point connection detail to that of the Mackie. The AH Zed range mixers are made down to a budget, so cutting out anything deemed 'unnecessary' that saves a few pennies will have been omitted. This means that the insert points work fine as intended, but won't also work as recording outs without using 'sniffer' cables. It would have helped here if the OP mentioned that the jacks had only been partially inserted into the inserts when successfully used with the Mackie (unless this had been set up by someone else so the OP wasn't fully aware of the situation). But there is still the line-out to mic input signal level mismatch, which still means that feeding into the line inputs is much better and doesn't risk signal overload. Or use a passive DI box between the insert output and the Tascam mic input to bring the level right down to mic level and give a balanced connection. You can then use standard XLR-XLR cables for any long runs, and just make up some short TRS to TS sniffer cables to plug into the DI boxes.